If you suffer from seasonal or chronic allergies, you know that relief can be hard to come by. You’ve probably seen a specialist and are a regular at the pharmacy, but you may still be wondering if there’s more you can be doing. Using an air purifier in conjunction with your other preventative measures can provide additional relief within the bounds of your home, giving you the ability to breathe easier in the place you spend most of your time. For allergy relief, we would strongly recommend an air purifier with a HEPA filtration system. This is hands down the most effective air purifier technology when it comes to combating allergens. Other systems will remove larger particles from the air, but only HEPA filtration systems are certified to remove allergens on a microscopic level. The best time to use an air purification system is while you’re asleep. This allows you to awake with less severe symptoms, such as congestion, itchy eyes, and scratchy throat. Because of this, you’ll want to find a unit with a tolerable noise output so you won’t be disturbed in this rejuvenating state. A little white noise can be soothing, but a disturbingly loud machine will undoubtedly cause you to lose sleep. Pay attention to each unit’s decibel (dB) levels. The higher the levels, the noisier the unit will be. Based on the qualifications listed above, here are the five best air purifiers for anyone suffering from allergies. The IQAir HealthPro Plus checks every box. 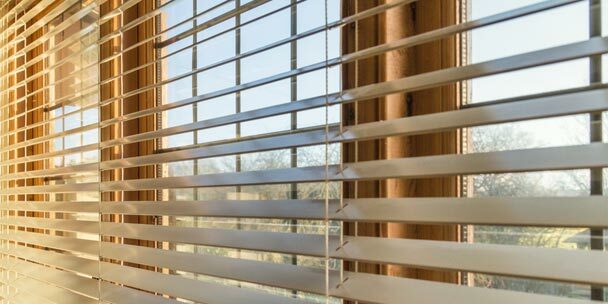 It has an impressive coverage ability of over 1,000 square feet, allowing you to clean the air in all or most of your home. Each unit uses a quality-tested HEPA filter, deemed the HyperHEPA filter. Capable of removing particles 0.003 micron and larger, the HyperHEPA is 100 times more effective than the average HEPA rating. In addition to the HyperHEPA, this unit uses a V5-Cell activated carbon filtration system to combat airborne chemicals, smoke, and odors in addition to particulate allergens. It’s also very quiet, stating a noise output of 25 dB on the lowest setting and 59 dB on the highest setting. “I became sick last summer with severe allergic reactions to chemicals, mainly formaldehyde, which is found in nearly everything. My allergy specialist recommended IQAir. I was hesitant because of the cost, but I went ahead and ordered the product. I thought if it doesn’t work I can always return it. I am so very happy that I ordered it because it has helped me so much in dealing with my allergy problems. In fact I’m thinking about ordering a second one. 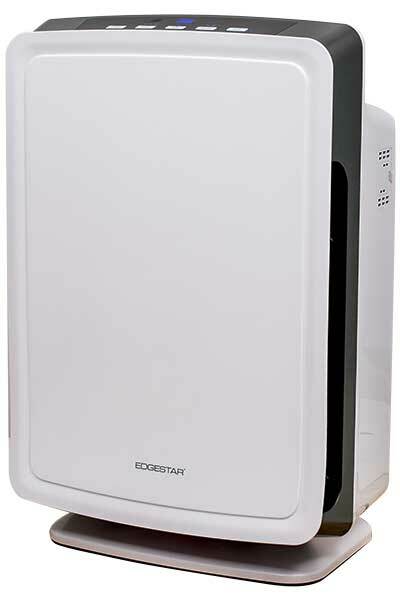 The sleek and modern Edgestar Air Purifier utilizes a remarkable 4-stage filtration system, including an industry-leading 3M HEPA filter, to efficiently clean your indoor air in spaces up to 750 square feet. The look of this air purifier will easily blend in with the decor in your home or office while simultaneously filtering allergies and pollutants from the air you breathe. The PureAire HEPA-Carbon filter is a 2-in-1 HEPA and Activated Carbon filter unlike any others on the market. It can trap 99.99% of the unhealthy particles larger than 0.3 microns in size, as well as absorb smoke, odors, and chemical vapors. This also allows for replacement of just one filter, whereas you would need to buy two separate replacement filters with other comparable air purifiers. This not only saves you time and money, but it makes life easier for you. The innovative air quality indicator provides a reading of the level of contaminants in your space by showing a red light for high levels of contaminants, blue for moderate levels of contaminants and green for low levels of contaminants. 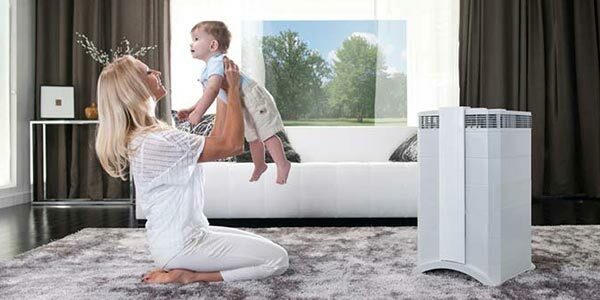 With a 90-day PureAir Guarantee and Free 5 Year Extended Warranty this air purifier is guaranteed to have you and your family breathing easier. This Blueair air purifier features a patented HEPASilent filtration system that helps increase the overall air flow due to high efficiency operation. This efficiency and increased air flow makes this the fastest filtering air purifier on the market with a Clean Air Delivery Rate (CADR) or 450. Its impressive HEPASilent filtration system is certified to remove particulates 0.1 micron and larger at a 99.97% efficiency. 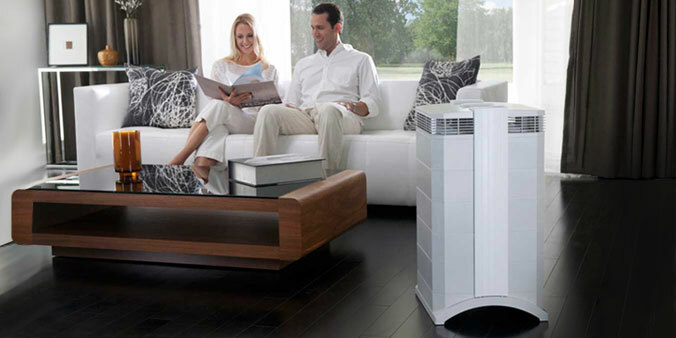 This air purifier is Energy Star rated with the overall operation costs being roughly the same as a single light bulb. The California Clean Air Resource Board even tested and verified that Blueair air purifiers not only do not generate ozone, but actually lowers the amount of ozone in your living environment. The AustinAir Allergy Machine comes highly recommended by Dr. Doris Rapp, a homeopathic pediatric allergy specialist and board-certified environmental medical specialist. The air purifier covers close to 1,500 square feet of space and employs a 4-stage filtration system, which is composed of a medical-grade HEPA filter, a High Efficiency Gas Absorption (HEGA) filter, an activated carbon-zeolite filter, and a carbon cloth. The British military developed the HEGA carbon cloth used in the air purifier to protect against chemical warfare and is proven to give relief to allergy and asthma sufferers alike. This allergy machine features 360 degree air intake which means quick and more efficient air purification. The four sturdy casters allows easy movement for flexible air purification wherever you need it most. Another convenience is the five year life of the filter included with the air purifier. This air purifier was designed with the allergy and asthma sufferer in mind. The RabbitAir MinusA2 air purifier has a unique, slim and stylish design that is even wall mountable. With this flexible option you don’t have to sacrifice space to get a high quality clean air. State of the art technology is used in the 6 stages of filtration and idle mode. In idle mode this air purifier will monitor the pollutants in the air and adjust the fan speed as necessary to effectively clean the air. The charcoal based activated carbon filter is a feature not to be missed. This filter will capture airborne chemicals, VOCS (Volitile Organic Compounds) and odors in your space. This air purifier has a number of desirable features including pollen mode, silent mode, mood lighting and quiet mode. This unit has some of the most flexibility and customization on the market. The Amaircare 3000 air purifier features 3 stage filtration including a pre-filter, HEPA filter, carbon filter and VOC filter. The True HEPA filter and carbon filter are capable of removing up to 99.97% of particles as small as 0.3 microns in size. This Canadian made model has an all metal housing for durability and casters for portability. You can purify up to 840 square feet of air of all particulates including pollen, dander, dust and odors. The top load design and timers for filter change notifications makes this filter maintenance simple and easy. Amaircare even had this air purifier tested for 50,000 hours straight to ensure the quality would stand the test of time. Allergies can be bothersome to downright debilitating. If you’re considering adding an air purifier to your preventative routine or you’re looking to maximize your chances at reprieve, consider the benefits of one of these units. You may, like Becca, find the relief you’ve been searching for.